I must work really hard. I never get it all done. I can’t have what I really want. What do you believe about yourself? Do your beliefs reflect self-hatred or self-love? 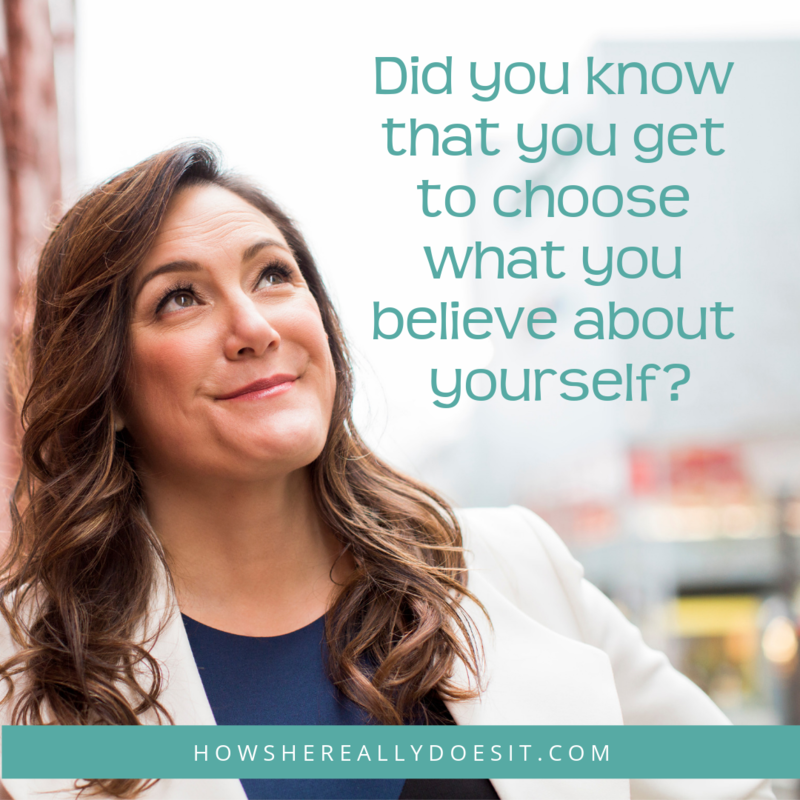 Did you know that you get to choose what you believe about yourself? I love working hard and I love the white space in my life. I am a person who does good work. I get the important things in my life done. I am lovable and I love me. I can have what I really want. I am a person who takes care of herself and others. I am enough, with all of my strengths and all of my flaws. You can choose those crappy painful beliefs or you can choose the loving, truth-filled beliefs about yourself. Which do you choose?